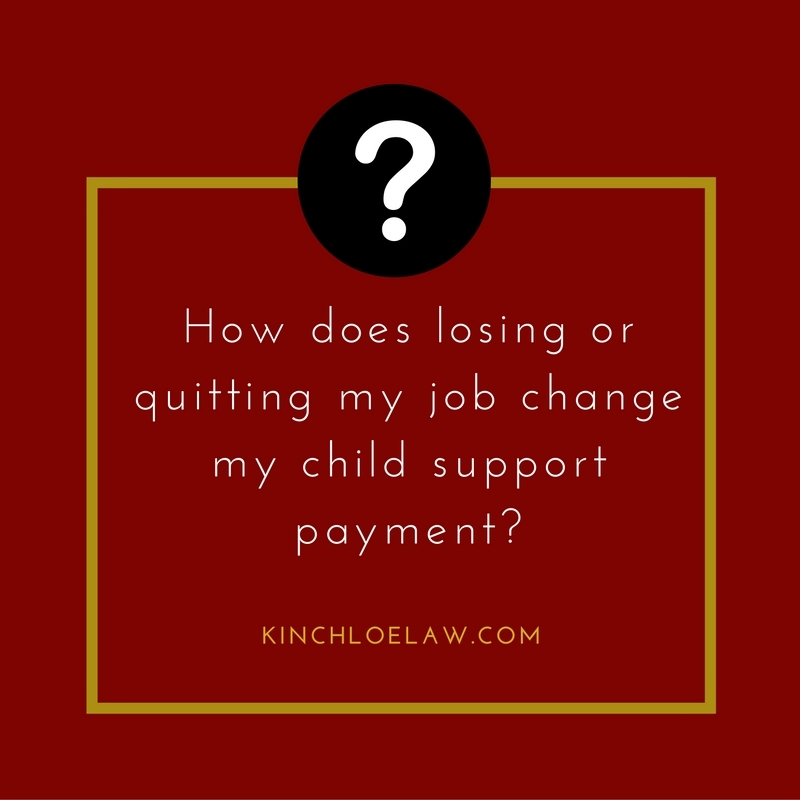 Will losing or quitting my job affect the amount of my child support payments? What happens to court-ordered child support obligations if you quit or lose your job? Changes in income can happen. The State understands that there may be fluctuations in income and have crafted rules to address those fluctuations. Generally, the court looks at whether the changes were voluntary or involuntary. Nothing happens automatically and you should look to the rules as to how to request a change in your support obligations. Something else beyond the party’s control. However, if the court finds that a person has voluntarily taken some action to cause the deduction in income, the court will not make an adjustment. If the trier of fact determines that a party has willfully failed to obtain or maintainappropriate employment, the trier of fact may impute an income equal to the person’s earning capacity. The court will look at the party’s age, education, training, health, work experience, earnings history and child care responsibilities (among others) to determine earning capacity. It’s important to know that the adjustment may not be made automatically. Your order tells you when you must notify the courts of changes in your income. Asking for a review, increase, or decrease of your support payments is a way to alert the court as to changes in either party’s income. Speak to an attorney about the specific facts of your case and be sure to follow the rules in your county. If you have questions about how a loss or decrease in income affects your child support payments, contact us today to schedule a free telephone consultation.